I have always had a bit of trouble with anxiety, but when I was 14 I was set on a path that made the next 10 years of my life pretty hard. Of course there were some amazing moments in there, by no means has my life awful. But looking back there are some things I wish that timid little girl had known. I wanted to do a letter to my younger self post, but this proved too difficult. 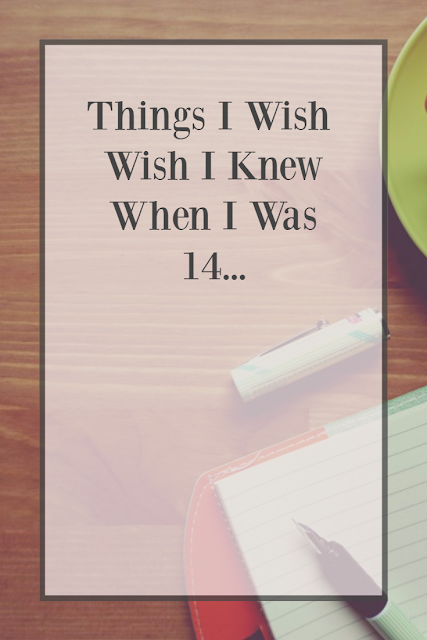 Hopefully one day I will have the strength to face those awkward teenage years, but for now I thought I could make a list of the things I wish I had known. 1. You should never settle. In the last 10 years I have settled way more than I should have. Settled for what I didn’t want because it was what other people wanted. Settled in relationships when I knew I wasn’t happy but I was made to believe things were as good as they got. I have settled in many different areas of my life and the decision has always been wrong, I never knew it was OK to do what I wanted. 2. You can trust yourself. 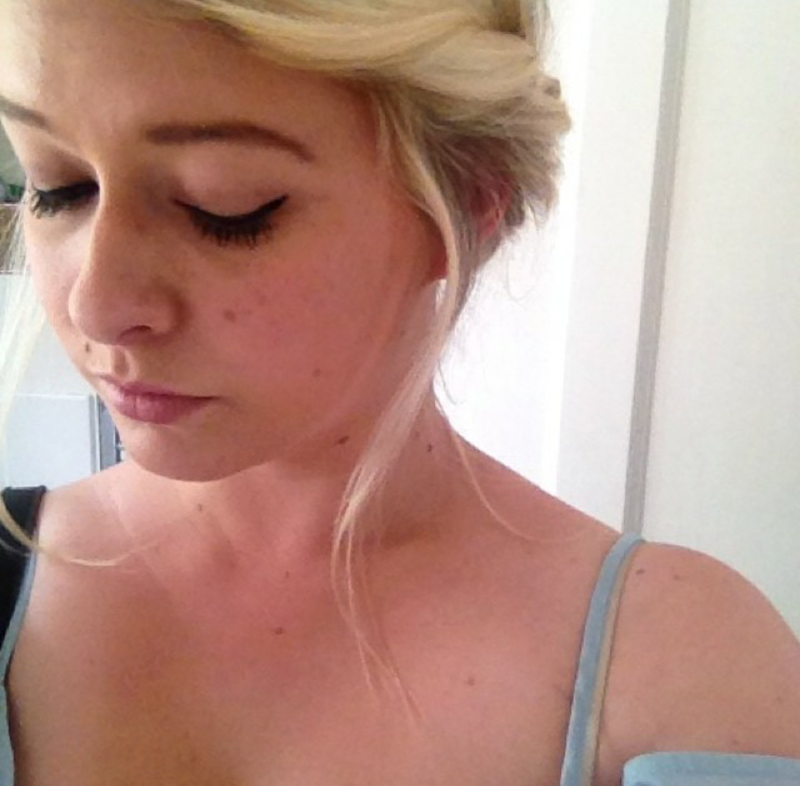 I have a major confidence issue. If I am asked a question I know the answer to I am likely to to keep quiet or say I don’t know because I don’t trust that I am right (even though I know I am.) I have struggled to trust my own decisions, almost to the point that I didn’t know it was OK to do what I thought was right. 3. People won't understand the way you feel, but that's ok. Through my anxiety and depression I learned that people will only understand for so long before they want you to snap out of it. Even if that person has been through the same thing they are still different to you and will never fully understand. Don't get to upset by this. Everyone will serve their purpose and eventually you will find the strength to pull yourself out. 4. It's OK that you don't know what you want to do when you grow up. I still didn’t know when I left University after doing a journalism course!! I found any job I could get and ended up really loving it. And I still love writing in my own way. You don't need to know the direction you want to go in because you can work it out as you go. 5. You will be happy. I'm pretty sure that every teenager goes through a time of wondering if they will ever live happily ever after. I can't know that at only 24, but what I do know is I am happy and I have been happy in the past. 24 has been a good year for me and at this point in my life that happily ever after is very possible for me. 6. You are not average. I can't really find the words to explain this one, but I have always put myself down with the word average. Someone put this into my head and I wish I knew they were wrong. I have finally learnt to love myself (this is still hard sometimes) and I wish I knew sooner that I am what I make of myself. 7. Stand up for yourself! This is something that over the past couple of yours I have gotten a lot better at. It may have caused some arguments, but it was worth it. Don't be pushed around! It is NOT OK! There are so many more!! But I think these are the fundamentals. When you're a teenager and you are going through a crappy time it seems like there will never be a light at the end of the tunnel. Those years don't really matter any more, and I have only just started the years that have mattered enough to make a difference!